1 Candidate must be a full-time Graduate preferably a CA (Member of the institute of Chartered Accountants of India) or I.C.W.A (Member of the Institute of Cost Accountants of India). 1 Full-time Degree in Commerce and knowledge of Indian Accounting Standards OR Candidate must be a full-time Graduate preferably a CA (Member of the institute of Chartered Accountants of India) or I.C.W.A (Member of the Institute of Cost Accountants of India). 4 Candidate should have passed Secondary School Certificate Examination of Maharashtra State Secondary and Higher Secondary Education Board and should have passed “Surveyor” course conducted by the Government approved Industrial Training Institute or its equivalent institute and should possess MS-CIT certificate & Auto CAD certificate. 1 Full-time Graduate in Commerce with minimum 60% and having passed the “Executive Programme” conducted by Institute of Company Secretaries of India and certification & full-time Diploma course with working knowledge of Computers and having proficiency in MS Office etc. 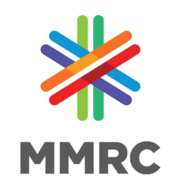 Eligible candidates may apply online at MMRC's website (direct link is given below) from 28 Jan 2019 10:00 AM to 18 Mar 2019 11:59 PM. Candidates log on to https://www.mmrcl.com/. Candidates applying on Deputation basis are required to forward their application in prescribed format To, The Managing Director, Mumbai Metro Rail Corporation Limited, MMRCL –Line 3 Transit Office, E Block, Bandra Kurla Complex, Bandra (East), Mumbai- 400051 along with (i) Latest Resume, photograph, all educational qualification certificates and all work experience certificates, (ii) No Objection Certificate (As per the enclosed format), (iii) Attested copies of ACR’s/ APR’s of last 05 (five) years, (iv) Certificate stating that no vigilance case is either pending or contemplated against the officer, (v) No Penalty Certificate stating that no major/ minor penalty has been imposed on the officer or a statement giving details of major/ minor penalties imposed on the officer, if any, during the last 10 years.